Our Lord did not exactly say this in the Bible, but nonetheless these medicines you have provided are indeed authentic gifts of mercy. 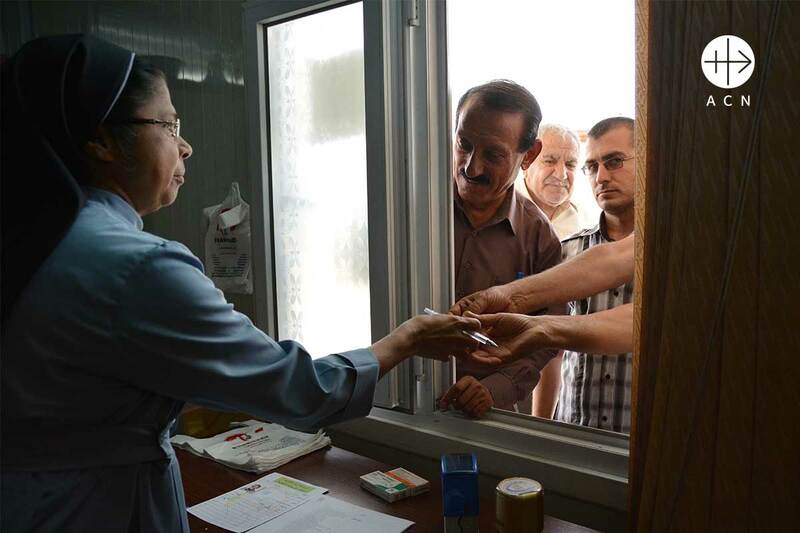 For without them many of the 3,000 patients in Saint Joseph’s Clinic in the northern Iraqi town of Ankawa would not survive. 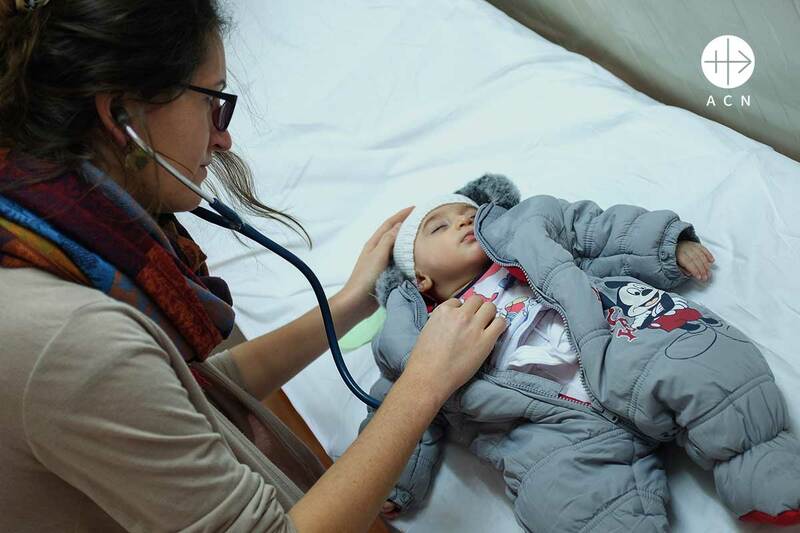 These in many cases chronically sick patients are just some of the 12,000 Christian families who were forced from their homes in Mosul and Nineveh in the summer of 2014 by the invading Islamist State and who have since been living in the northern Archdiocese of Erbil, stranded, exhausted, traumatised, spiritually drained. Most escaped with nothing but the clothes on their backs. 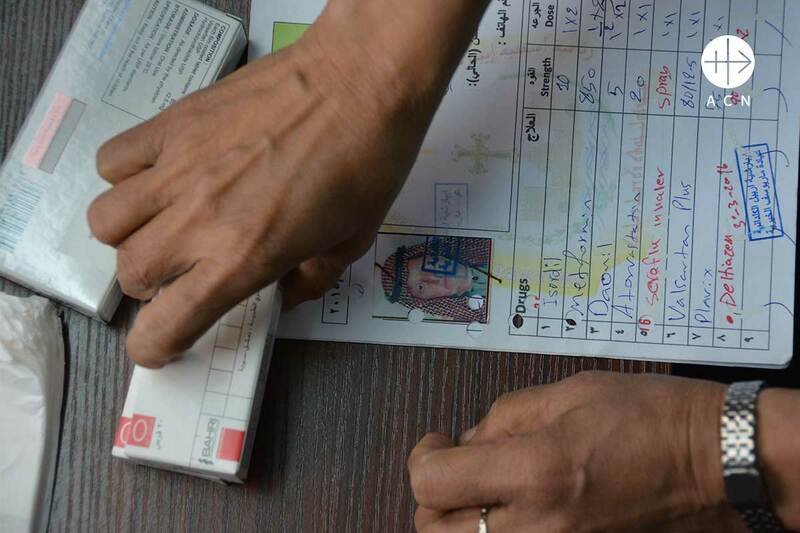 ISIS came and they were told to leave or to convert to Islam. Or they would have to pay a tax. Or they would be killed. They used to have a job. They used to have their own homes. They used to have their own cars. They used to have their own lives. They have lost everything now. The chronically sick face the biggest challenges as the price of most of the medication is quite high and they cannot afford to stop taking these medicines as they are life-saving. 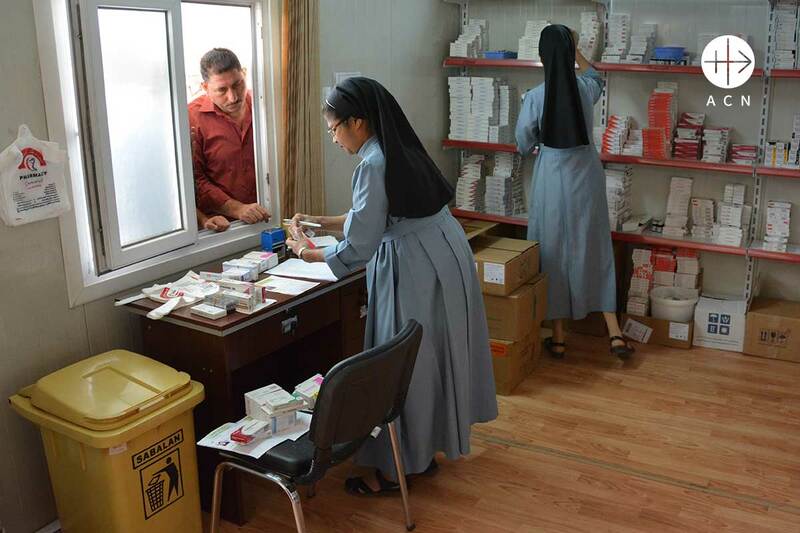 Saint Joseph’s small clinic provides them with medical treatment – and its doors are open to all IDP patients: Christians, Muslims, Yazidi, without any exception. A hundred to hundred fifty patients a day are treated here without cost. The clinic’s staff provide care for chronic diseases (diabetes, heart disease, hypertension, etc. ), as well as maternal and gynecological exams, regular pediatric care, and other non-intake services. The Chronic Care Clinic at St. Joseph’s currently provides free treatment and medicine to over 3,000 patients per month. 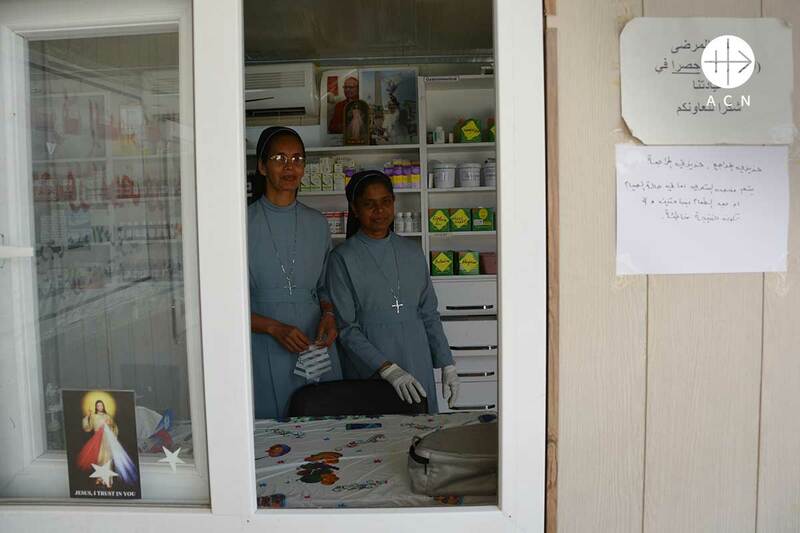 The total monthly cost to run the clinic, including medicines and supplies, averages approximately USD 55,000 per month. 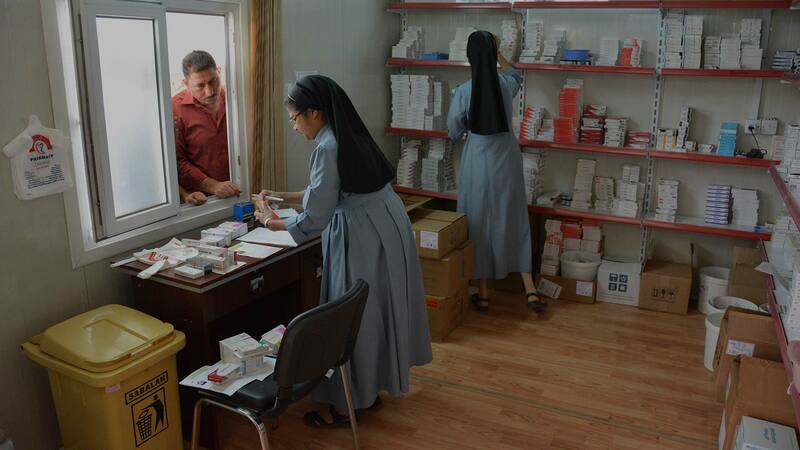 Thanks to the generosity of our benefactors, amongst who was the Holy Father himself, we have been able to support Saint Joseph’s clinic and keep its doors open. Pope Francis, Misericordiae Vultus, Bull of Indiction of the Extraordinary Jubilee of Mercy.